The Xen Project team is pleased to announce the first Test Day for 4.5 Release Candidate 1 will be held on October 29, 2014.Â The 4.5 release is just a few weeks away, so this is an important event in our development calendar. Test Days insure that the upcoming release is ready for production.Â It also allows power users to test out the upcoming release in their own environment. Subsequent Test Days are expected to be scheduled roughly ever other week until it is determined that the software is ready for release. If you have a new feature which is cooked and ready for testing in RC1, we need to know about it and how to test it. Either edit the instructions page or send me a few lines describing the feature and how it should be tested. 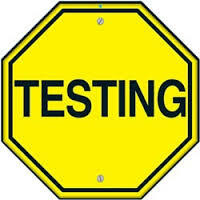 Currently, this Test Day is focused on general tests (e.g., “Does the software compile, install, and do the things it normally does, regardless of hardware platform?”).Â If you have specific new functionality which needs testing in RC1, we need to know about it and how to test it. Please join us on Wednesday, October 29, and help make sure the next release of Xen Project software is the best one yet!Â To make room for the Test Day, we’ve moved Document Day back to November 5, so join us then as we improve documentation with a special theme of integration this month.